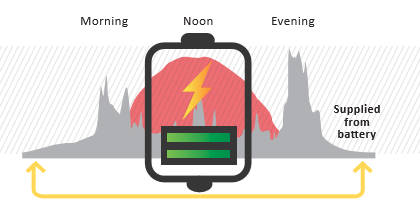 The batteries are charged during the day by means of solar energy. The surplus solar energy is fed into the battery rather than being exported to the National Grid. This means that the batteries are always fully charged so that these can be put to use at night-time. In the summer, when there is adequate solar energy, the home can run up to 3 weeks at a time without relying on the national grid. The StorEdge solution helps home owners reduce their electricity bills while maximising energy independence from the grid. 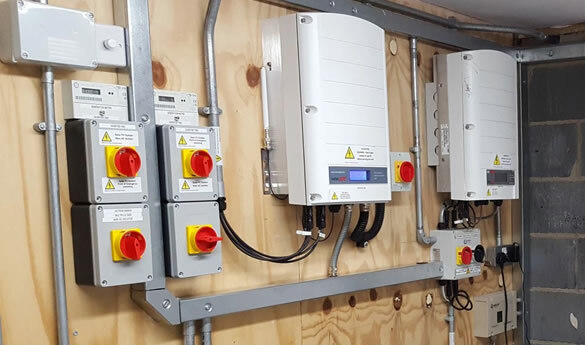 StorEdge is compatible with Tesla’s Powerwall Home Battery, and is based on a single SolarEdge DC optimised inverter that manages and monitors PV production, consumption and storage. 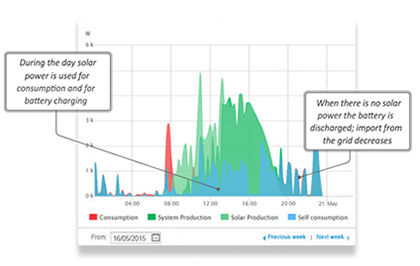 Unused PV Power is stored in the battery and utilised when needed to maximise self -consumption. 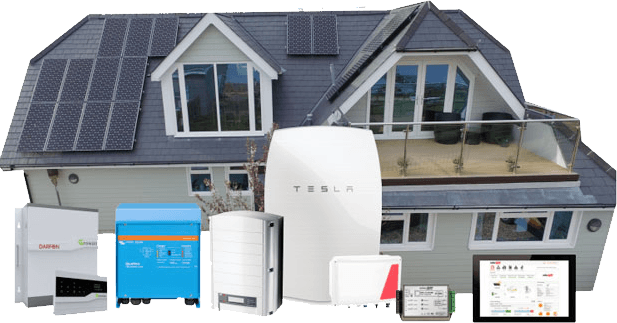 Why should I have battery storage? If you have a solar system chances are you do not use all the free electricity it produces, some you export to the grid. With a battery storage system, you can save that electricity to use later. 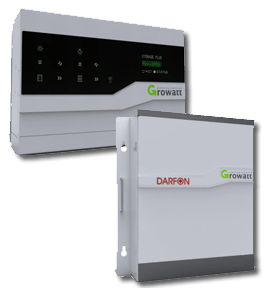 This can increase what is commonly called your ‘self-consumption’ dramatically and help you get the maximum benefit from your solar system. How does a battery storage system work? once the battery is discharged, if you need to use more electricity, you buy it from your electricity supplier. Will the battery storage system reduce my carbon footprint? Yes, by storing solar energy and using it in the evening you are offsetting what in most cases is fossil fuel generated electricity. What battery should I choose? 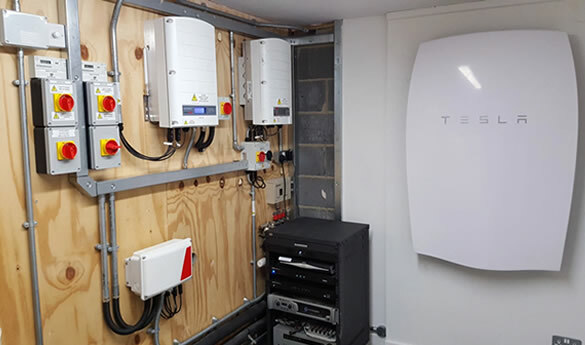 We are currently installing two makes of battery storage, one is the Tesla Powerwall and the other is the Growatt. Please contact our team to discuss your requirements and we will be able to advise as to what would be most suitable. 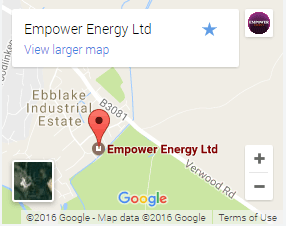 Do I need to change my Inverter? Not necessarily, it does depend however on the make of battery and the make of inverter, speak to one of our team and we will be able to advise on this. 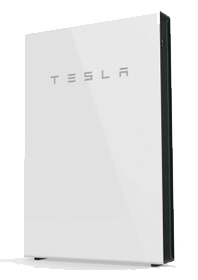 How long will a battery storage system last? Tesla has a warranty for 10 years on their product equivalent to one full charge/discharge cycle per day. In actuality because of short days in the winter and very long days of daylight in the summer it would be very rare that a typical home would do a full cycle on a day to day basis and typical cycle pattern would be around 260 full cycles every year.